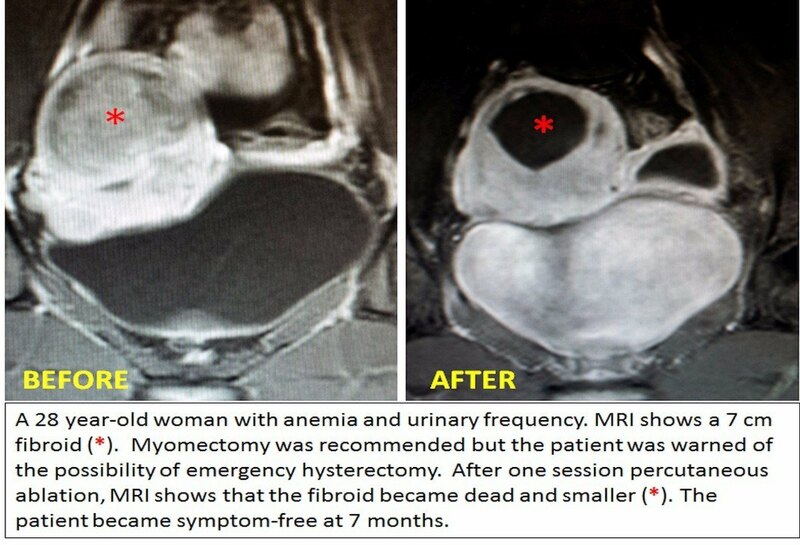 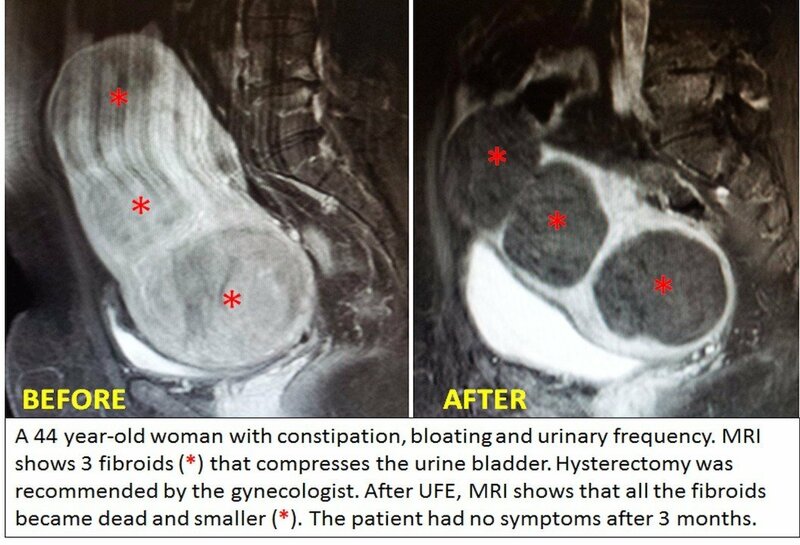 Below you can see the clinical and MRI findings of some of the hundreds of patients that we treated since 2005. 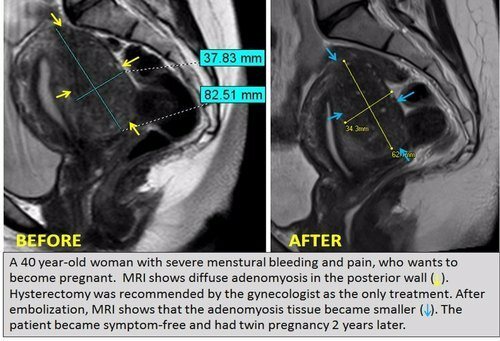 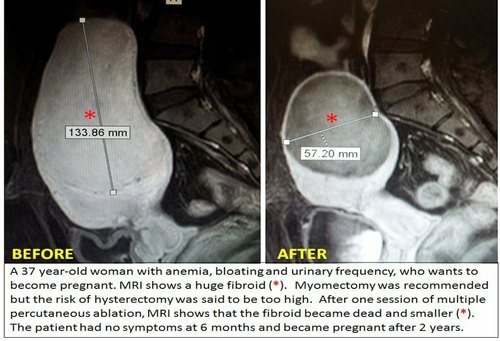 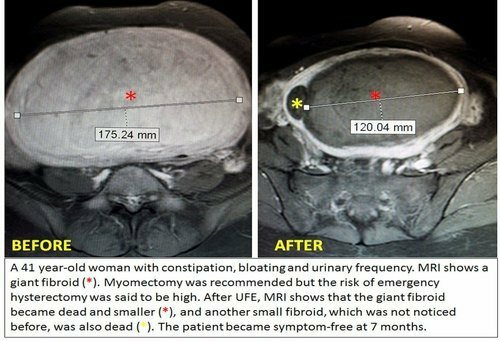 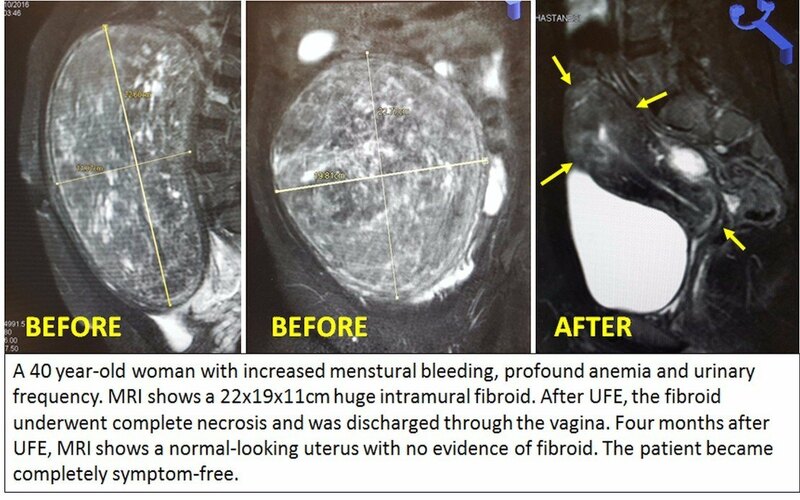 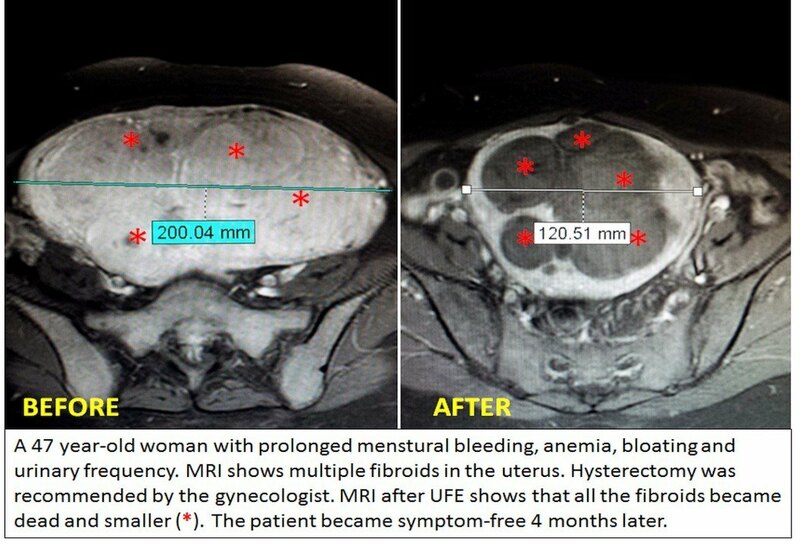 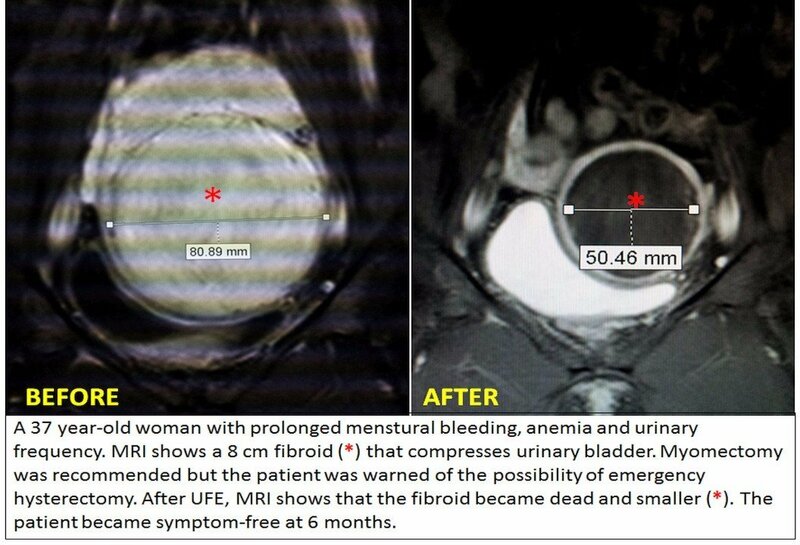 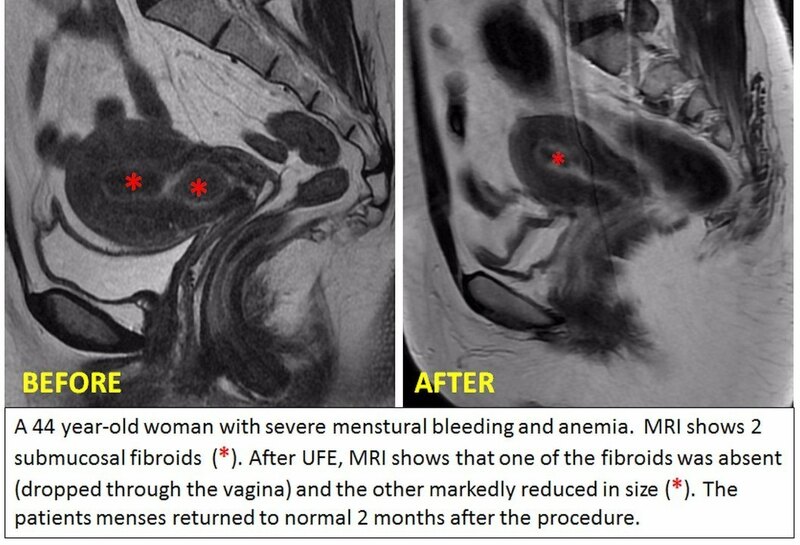 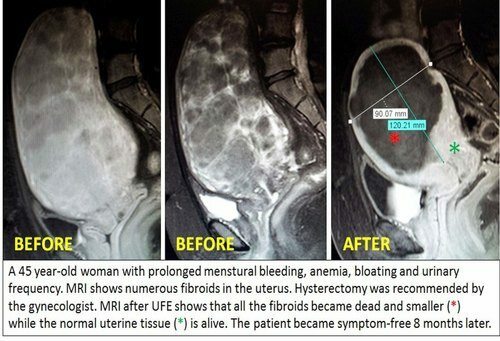 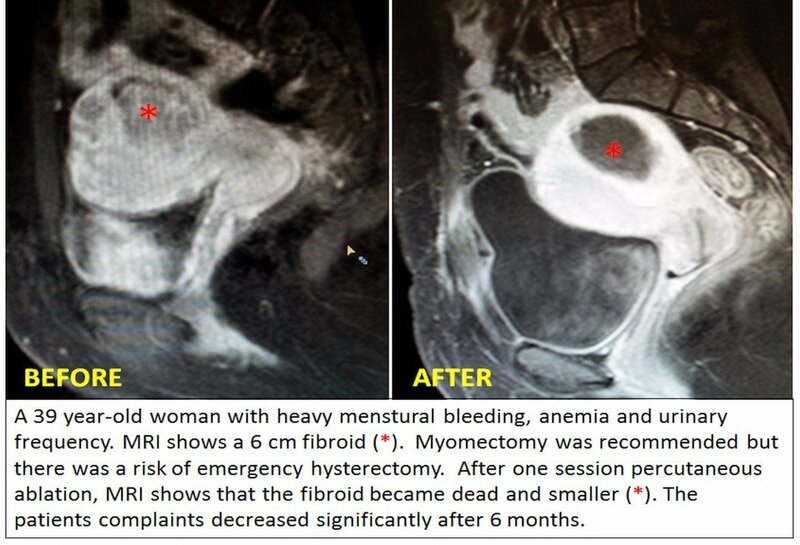 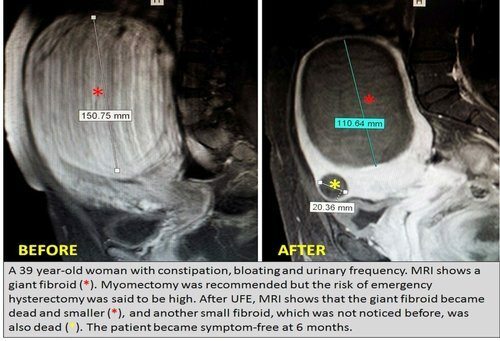 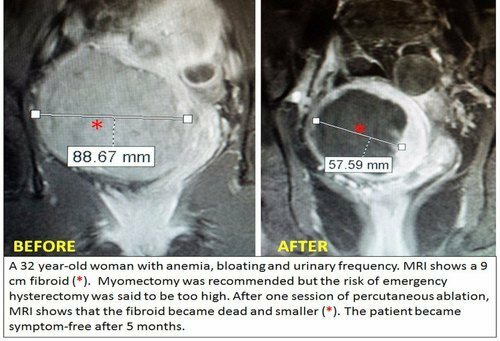 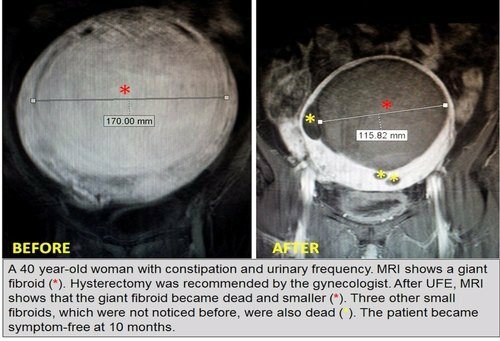 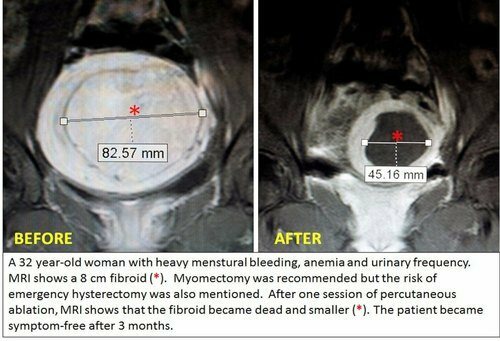 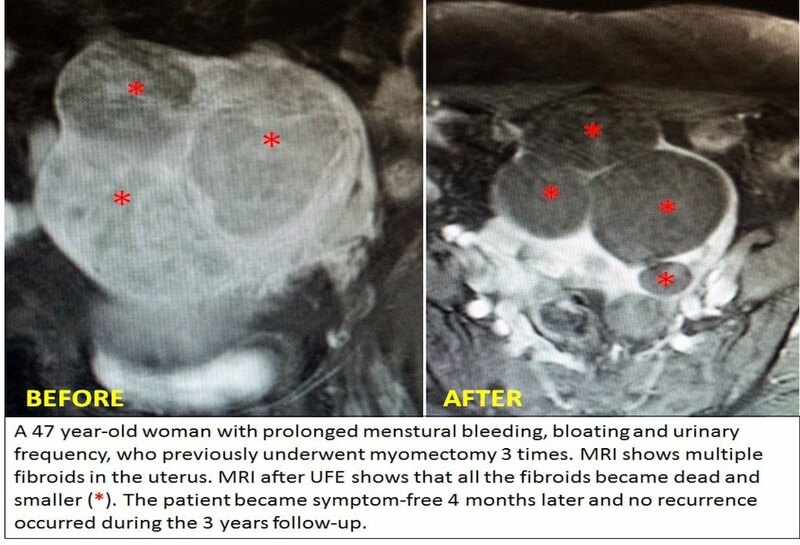 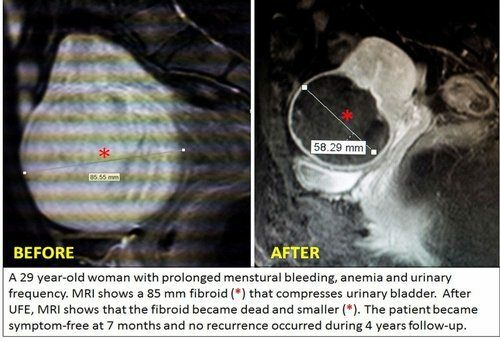 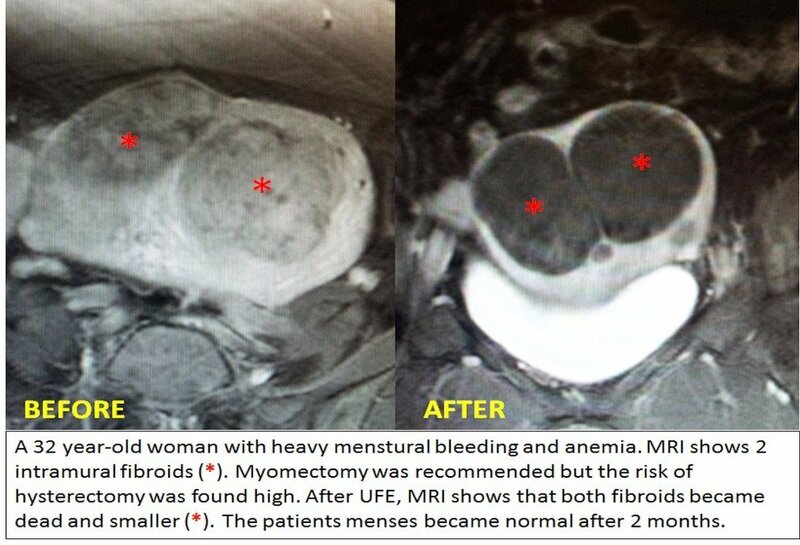 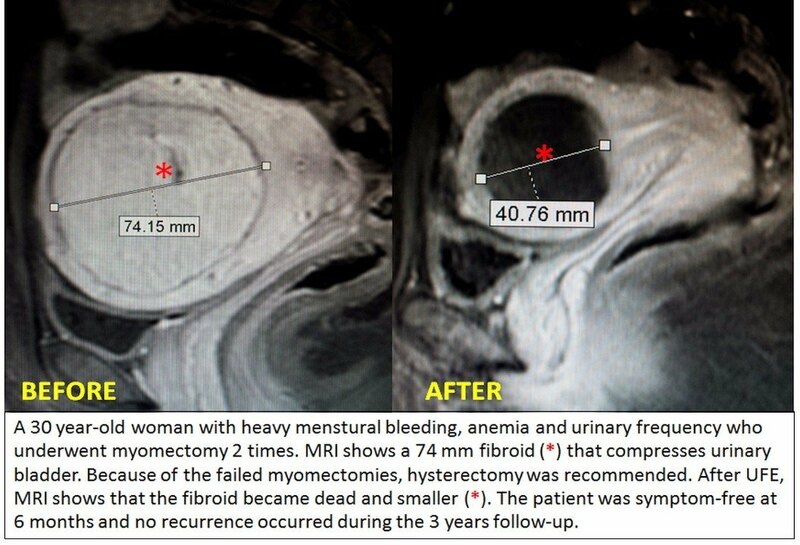 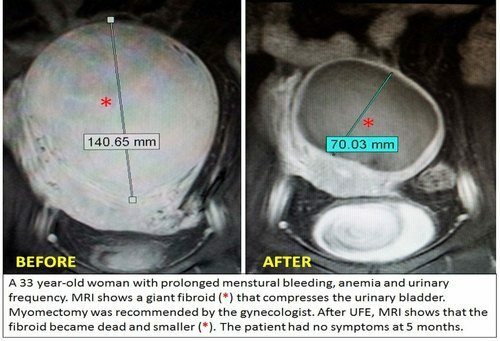 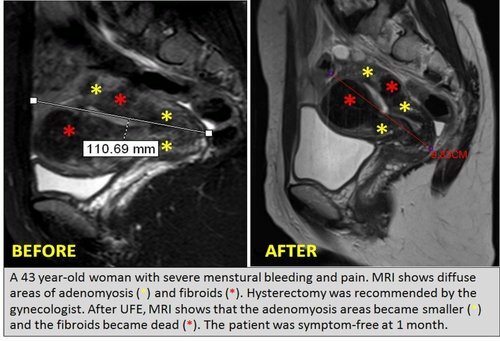 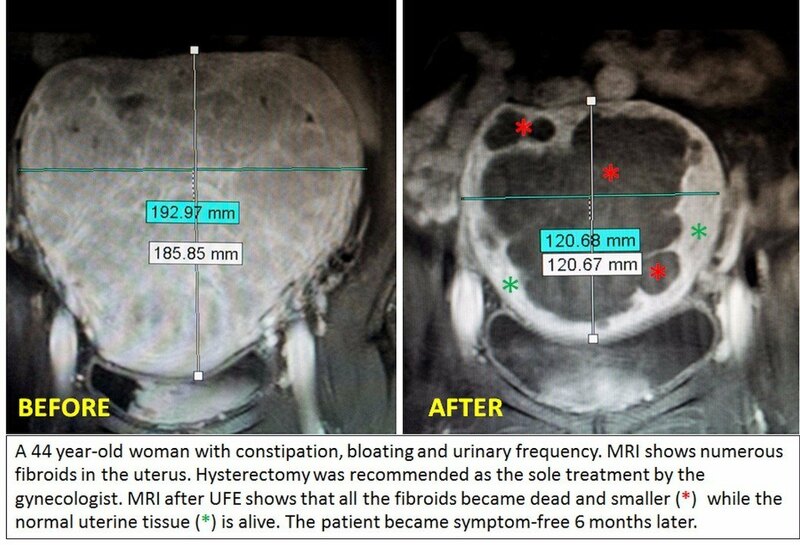 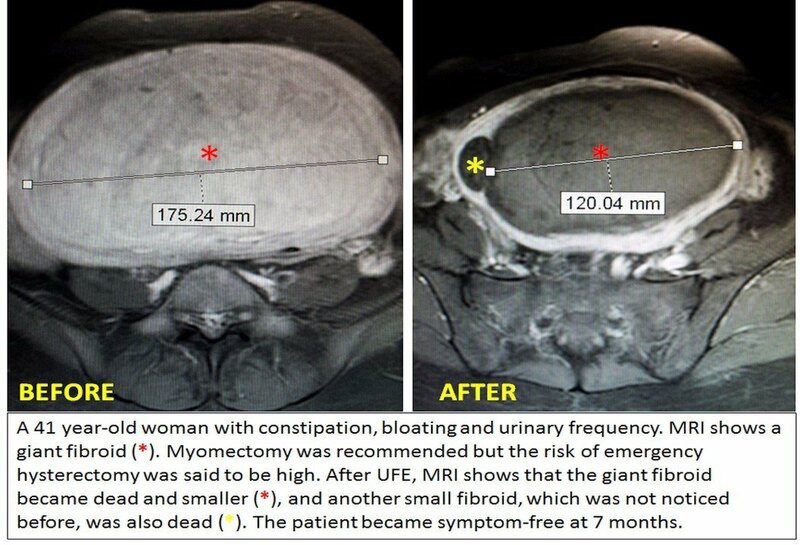 After the treatments, the dead fibroids appear as dark spots while the intact normal uterine tissue appears white. Please click on the pictures to see them in a bigger format.